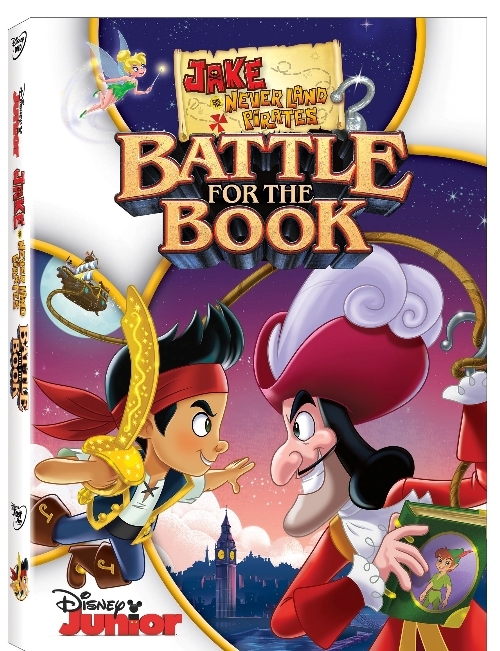 Jake And The Neverland Pirates: Battle For The Book DVD Review - Are You Screening? 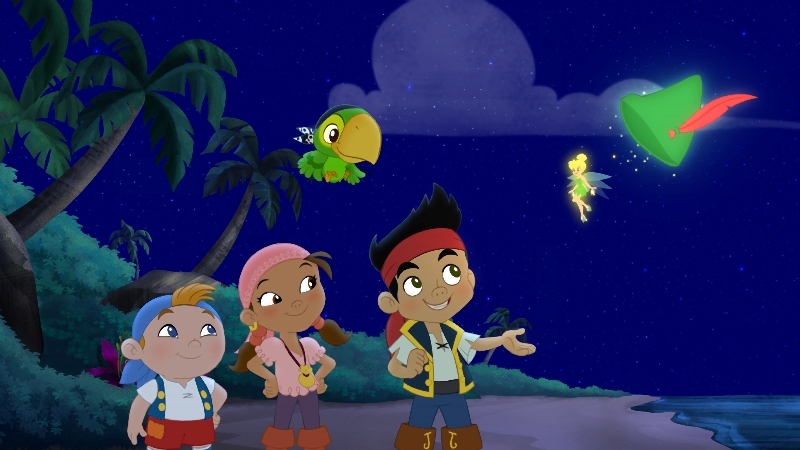 Jake and the Neverland Pirates: Battle for the Book is one of the more intriguing efforts from the children’s show. 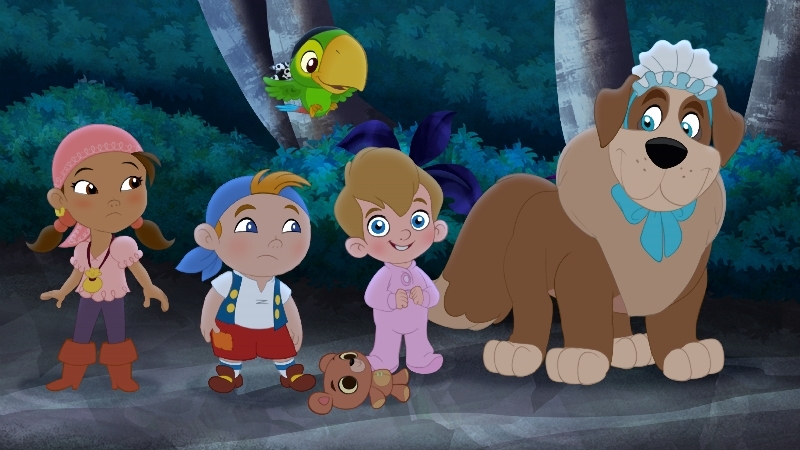 It’s a solid enough Disney vehicle in general, and one that the kids love, but the story here incorporates Wendy, John, and Michael in a new adventure that is not only a nice homage to the original story/film, but also plays with the animation in a way that is admittedly lost on the target audience, but is a lot of fun. 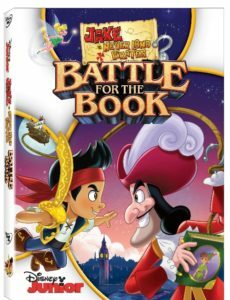 Hook learns about Wendy’s book of stories, from which she reads to her brothers about all of Hook’s failures, and he decides he had better steal it to keep the stories from spreading. 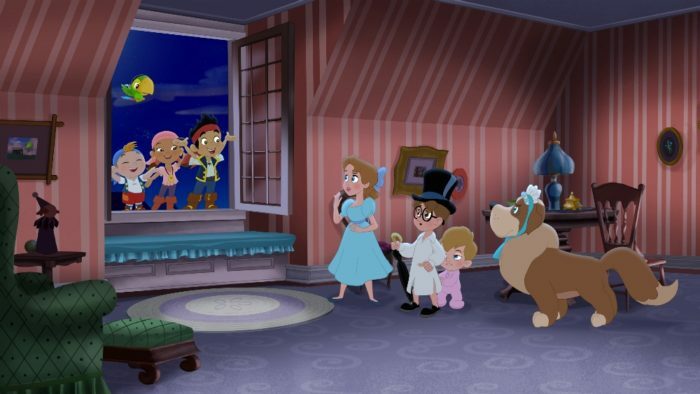 It turns out there’s something magical about the book of stories, and the general connection to Neverland, and if the book gets destroyed, everyone will forget everything that happened. 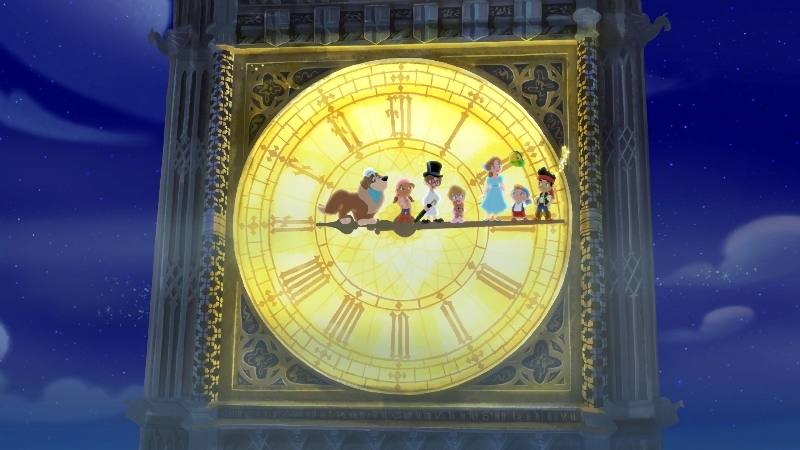 Having served as the conclusion to the third season of the show, this hour-long adventure is a great break from the usual format, and approach, of the show, adding a lot more depth to what’s going on, and expanding the age-range. That adds enough to make this a worthwhile purchase, beyond the fact that the episode is one that warrants plenty of rewatching. Adding to the mix, the DVD comes with a checkerboard bandana and pieces. DVD releases of episodic content exist in their own world of value that is especially hard to judge. Often a seemingly random assortment of shows that are probably on 20 times a week, figuring out which ones are worth purchasing is usually a question of nothing more than a certain child’s fascination with a certain episode. This one is a little different, and given the price of such releases, is one worth owning. The show itself is worth a lot more than the obvious attempt to capitalize on a franchise, and this story is even better than the series in general.